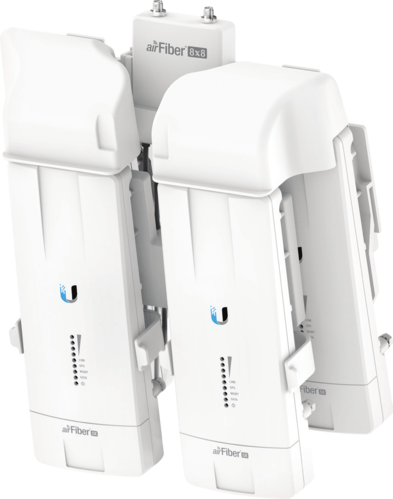 Introducing the airFiber NxN, a thoughtfully engineered MIMO multiplexer that increases the amazing throughput of your airFiber link by up to 400%, while simultaneously establishing redundancy without the need of additional antennas. The airFiber NxN is a scalable MIMO multiplexer that combines multiple airFiber X radios* on a single dish antenna for superior noise immunity performance, redundancy, and multi-Gigabit throughput. Upgrading a 5 GHz airMAX® or airFiber link is fast and easy. Simply attach the airFiber NxN to the fast-mount on the antenna and connect the RF cables. Using a common GPS timing reference, the airFiber X radios work cohesively to deliver powerful, multi-Gigabit bridging performance for PtP links. We "Ace Microelectronics Private Limited" are a highly famous organization of the industry involved in wholesaling and trading a broad assortment of best quality Wireless Broadband, Enterprise WiFi, Carrier Class Antennas, Integration Platforms and Nano Brackets. The offered products are hugely cherished owing to excellent performance, longer functional life, smooth operation and attractive design.